We all want a beautiful Christmas table. But you don’t need to buy new dinnerware! Pair your everyday tableware with plenty of Christmas decorations to give it a completely different feel. See our Spode Blue Italian festive table for a fabulous Christmas 2017. 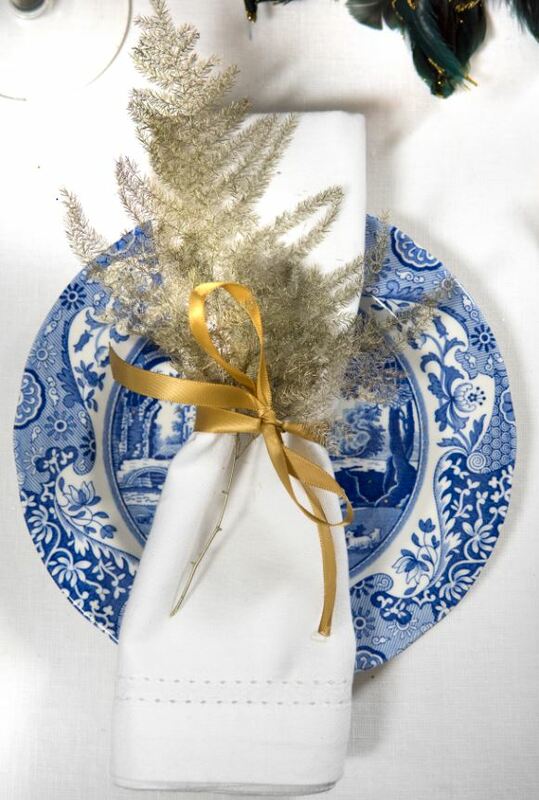 Spode’s Blue Italian celebrated its 200th anniversary in 2016. The timeless blue and white china has been a design favourite for decades, and isn’t about to go out of style anytime soon. We are sure that many of you lovely pottery fanatics, interior guru’s or stylists of the family home, own some classic blue and white china, maybe even Blue Italian itself. 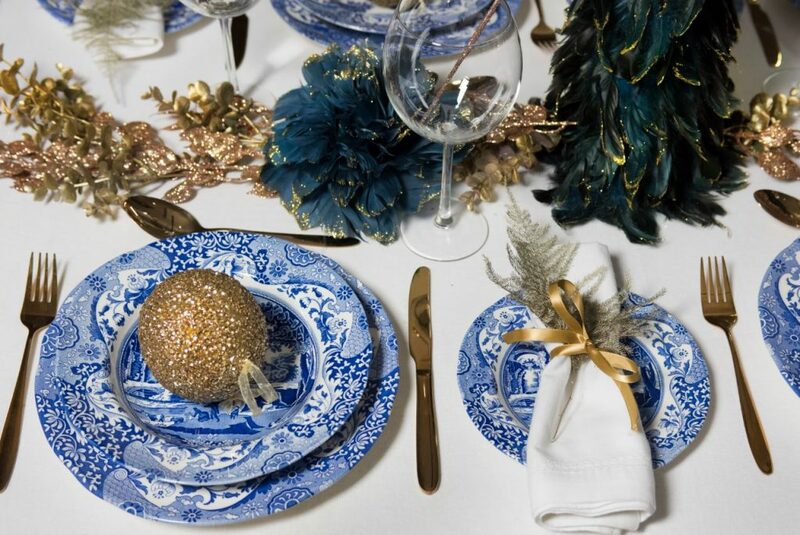 So with that in mind, we wanted to show you how Blue Italian can look extraordinarily festive at your Christmas table. Asparagus fern x 4 – You can get this from your local florist. We also sprayed these little ferns for extra goldness! To begin, we are going to create your super easy gold fern napkins. Take your napkin and tie a gold ribbon of your choice around the middle into a bow. Place the fern behind the bow. Put your napkins to one side. Now we are going to build the centrepiece! Begin by getting your gold glitter leaves and snip off the stems so that you are just left with the leaves and 4 straw-like stems around 6inches long. Save the stems for later. 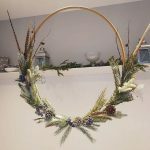 Place the leaves down the centre of your table and add the eucalyptus sprigs to fill out any gaps and give your homemade garland a different texture. 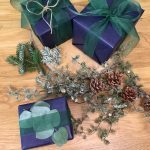 Now add in your mini peacock feather Christmas tree to the centre of the table and adjust your homemade leaf garland around the tree. You can then add your artificial peacock feather baubles to the left and right of the tree. Place a glass of your choice (we chose some large wine glasses for obvious reasons) on the top right of each place. Get back out your glittery stems from earlier, and place one in each glass. These are just for an extra bit of sparkle, we recommend taking these out before you enjoy your drink, although a sparkly wine would be pretty fabulous! 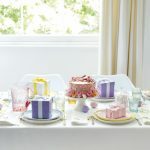 Set out your cutlery and begin to layer each place setting. Place down your dinner plates and side plates and layer with bowls on each dinner plate, and pop your napkins on each side plate. 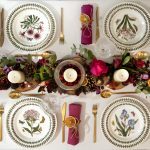 Watch our table setting video below for a guide onto how to lay each plate. Finally, place your gold beaded baubles into each bowl to give your place settings an extra festive touch! If you wish, you can give the baubles to your guests as a little Christmas gift or, when it’s time to serve, add to your table centrepiece amongst the leaves. 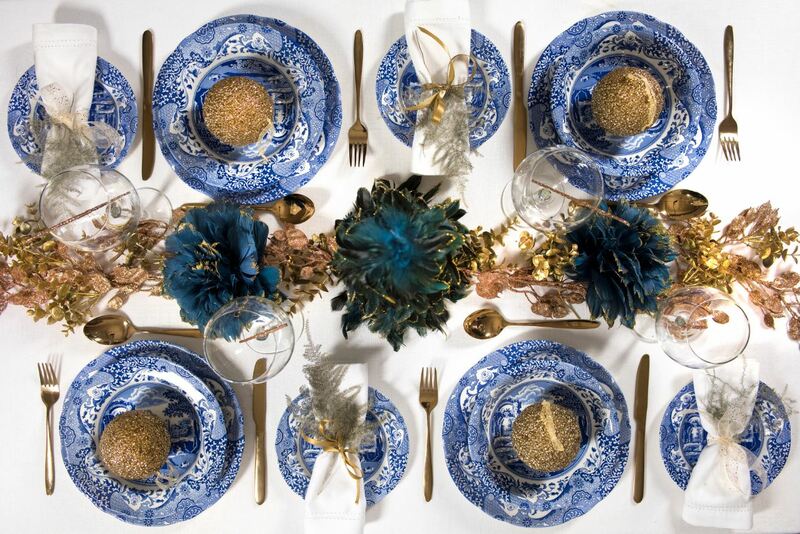 So now you are all ready to recreate this striking blue, white and gold themed Christmas table! Planning on trying out this look? We would love to see your images! Tag us in your photo’s using the hashtag #ASpodeChristmas on Facebook, Instagram or Twitter for your chance to feature on our social media channels. 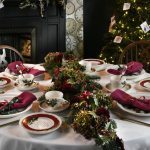 For more festive table and Christmas present ideas, head to our website Spode UK.